Wychurst is a reconstruction of a thousand-year-old manorial burgh of the type used by the Anglo-Saxons, complete with a 60′-long meadhall, associated buildings, defensive palisade and ditch. It is owned by Living History group Regia Anglorum. 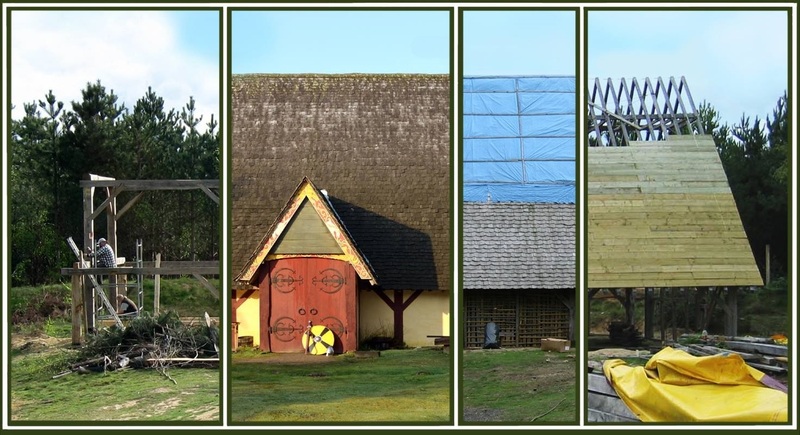 It is an experimental archaeology project of 20 years, as well as a grand setting for members to socialise, including the occasional grand feast. If only this webpage was making as good progress as the longhall itself, we'd be able to tell you all about it. For now, be sure to visit the Regia website's Wychurst page.